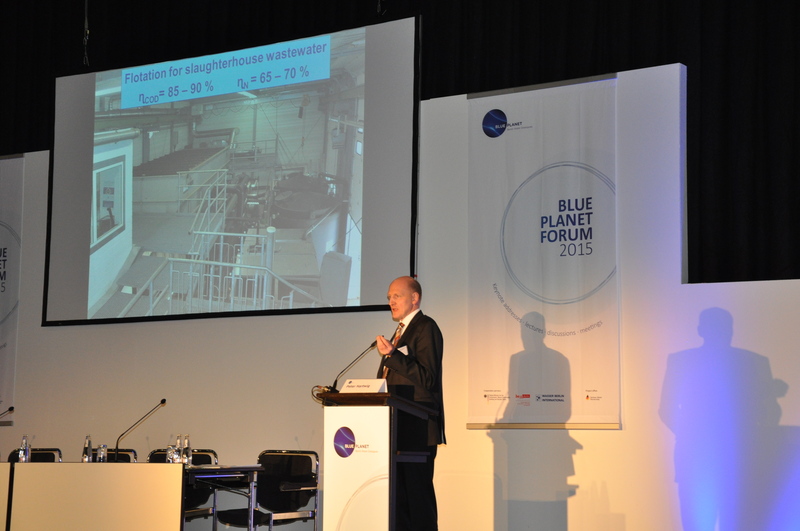 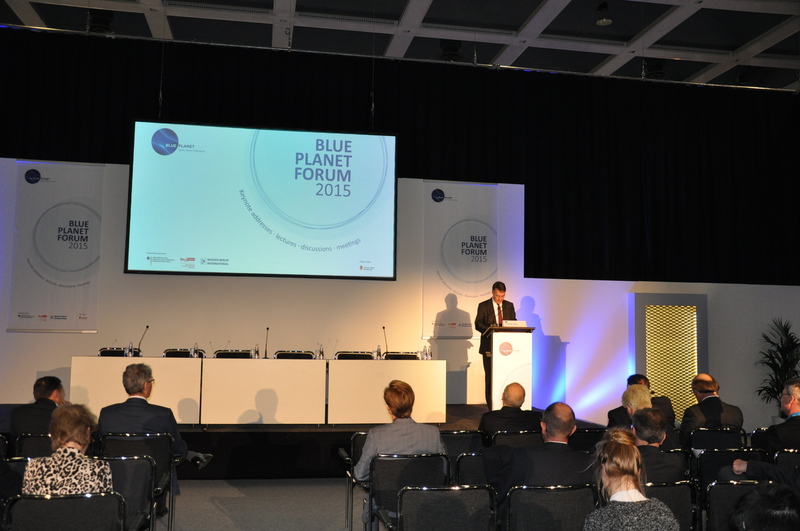 With WASSER BERLIN INTERNATIONAL 2015, BLUE PLANET presented itself as an umbrella brand with new and innovative goals that adapted to the needs of the changing global water markets. 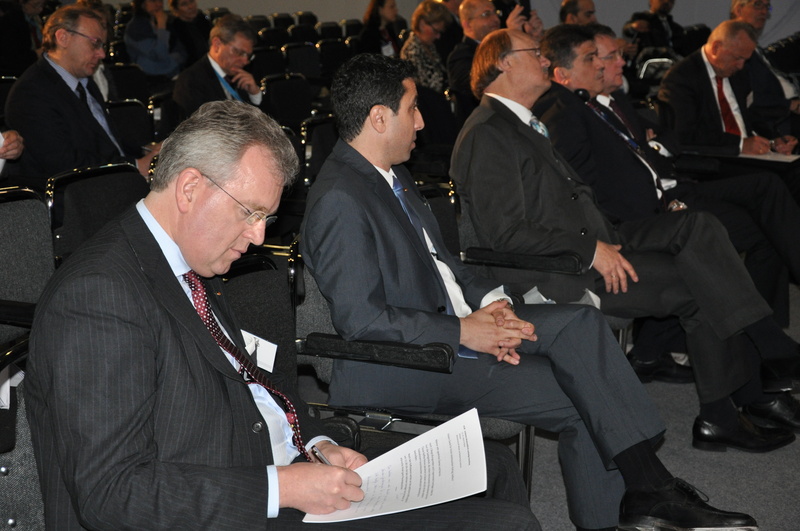 The goals include the realization and establishment of a politically oriented series of events, in different formats and with broader international impact. 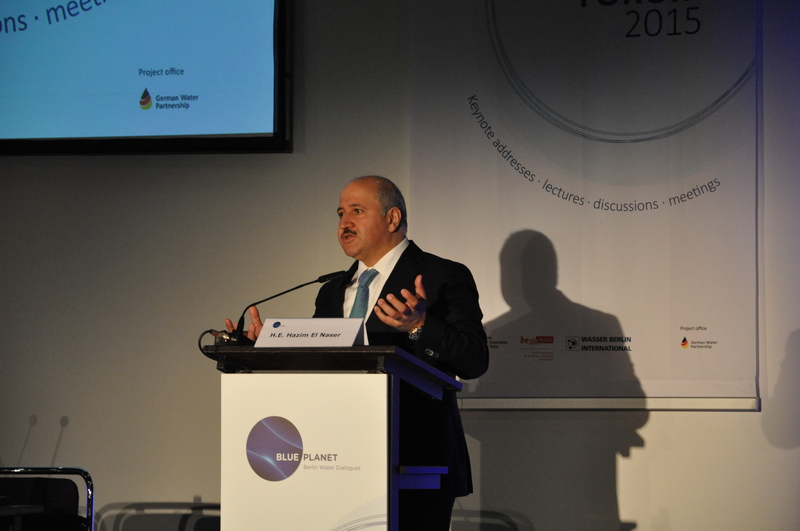 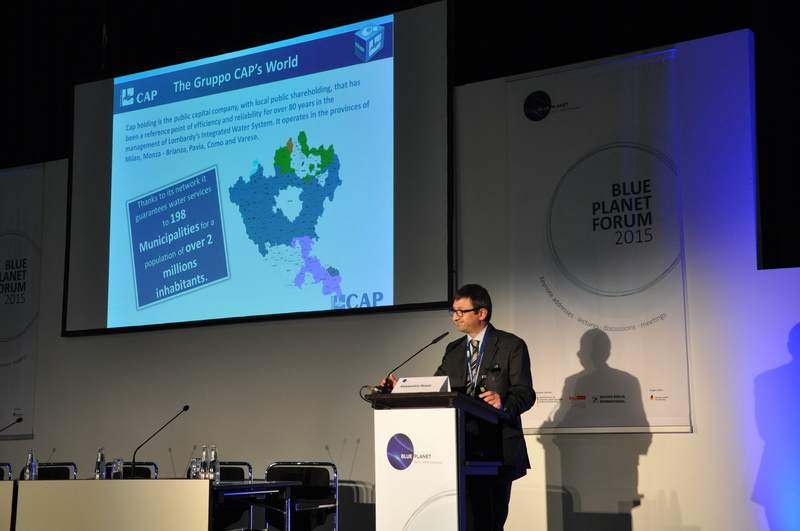 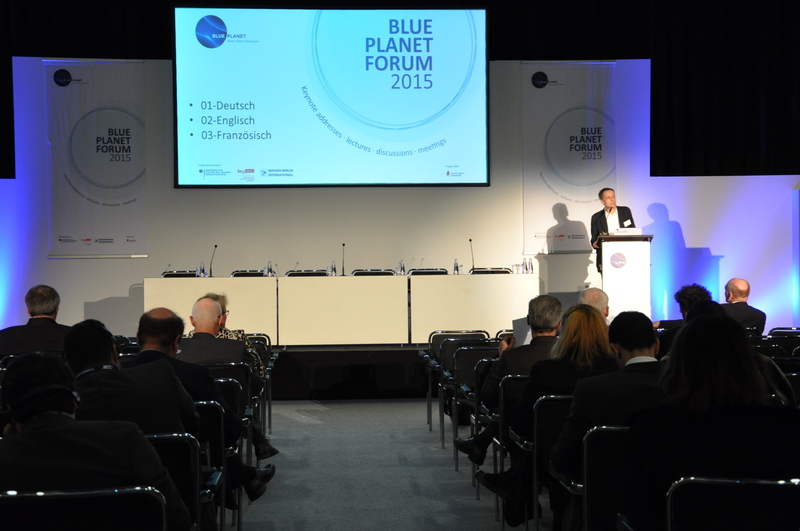 The newly structured BLUE PLANET Forum 2015, kicked-off on 25 and 26 March by addressing an international audience of industry, energy, agriculture, large metropolises as well as foreign and economic policy. 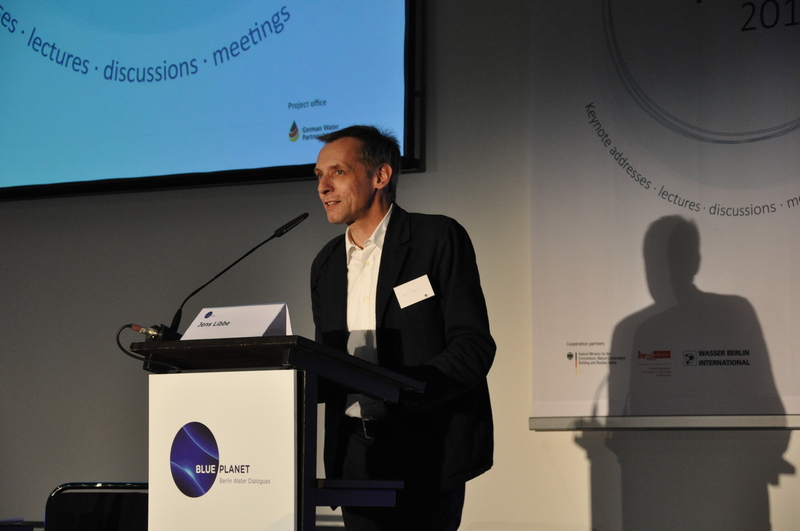 On these two days, around 200 participants showed great interest in the lectures entitled “Green Cities – Blue Solutions” due to the extraordinary choice of topics and diversity, but also the highlight of political accentuations. 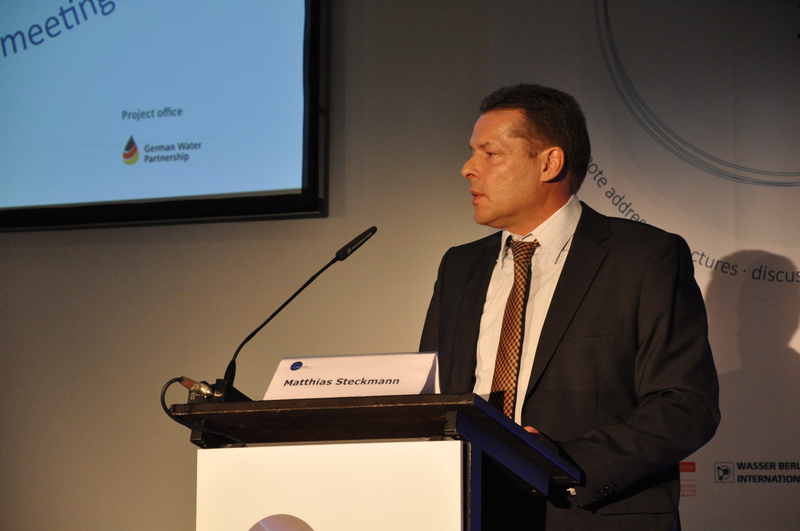 As expected, the response to the political kick-off was particular notable as high ranking politicians expressed opinions on the subject “sustainable water management”. 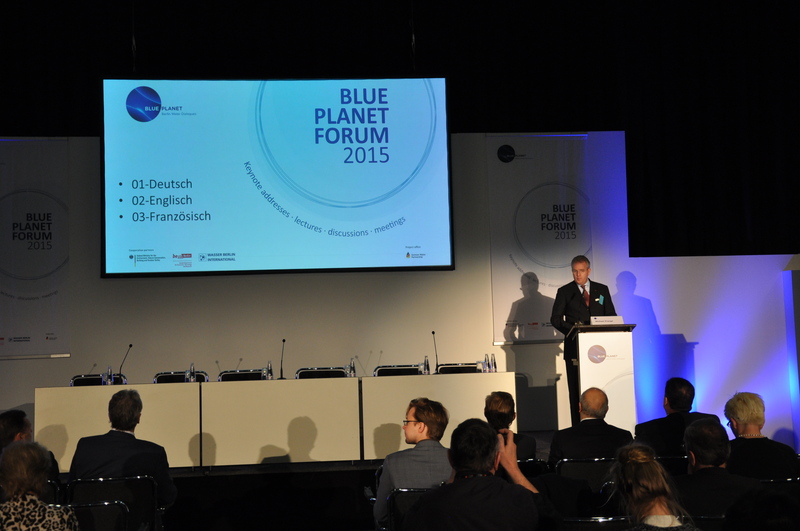 Through the partnership with the Federal Ministry and the Senate Administration, the underlined political orientation of the BLUE PLANET Forum clearly distinguished itself from the congress program and other events organized by WASSER BERLIN INTERNATIONAL. 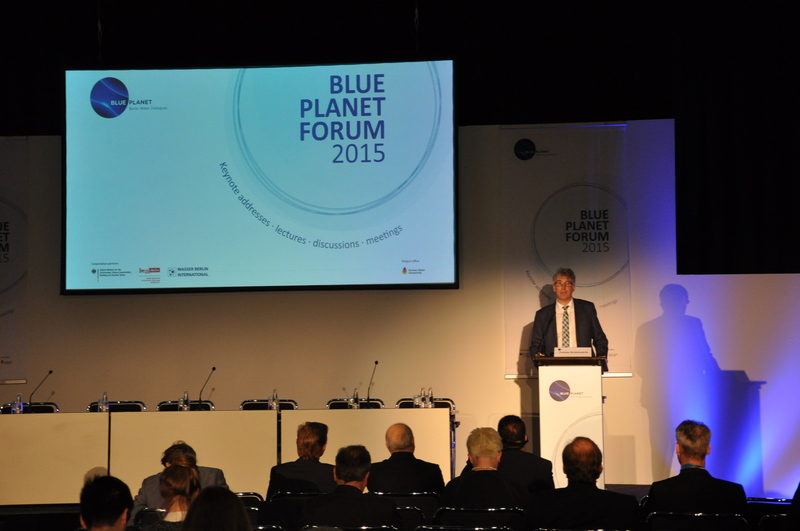 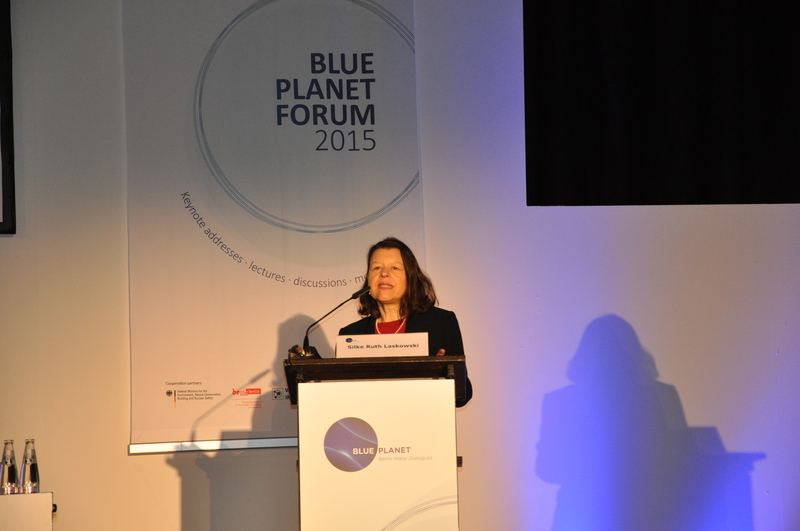 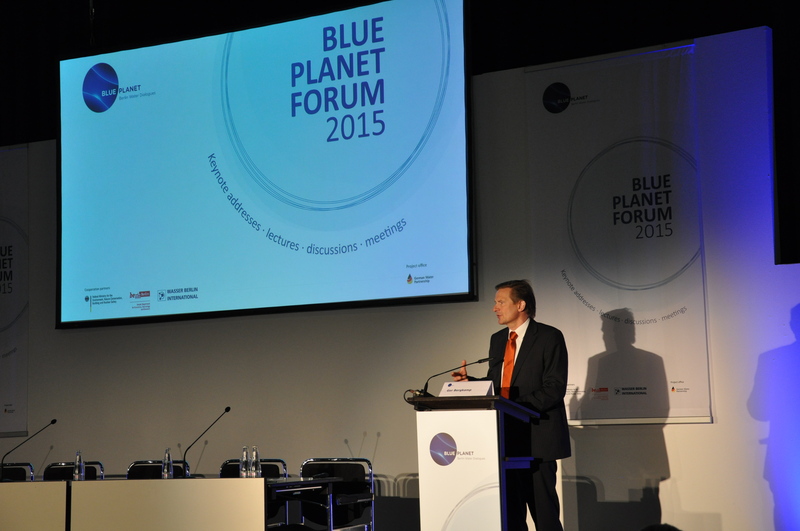 In line with the WASSER BERLIN INTERNATIONAL, the BLUE PLANET Forum also takes place every two years. 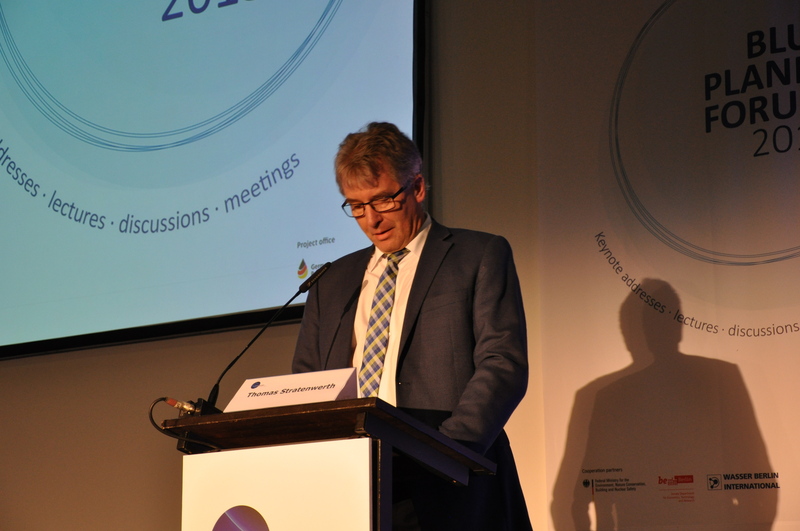 The long term goal of BLUE PLANET is to establish Berlin as the central meeting point for water management and to position Germany as the leading nation in the water sector. 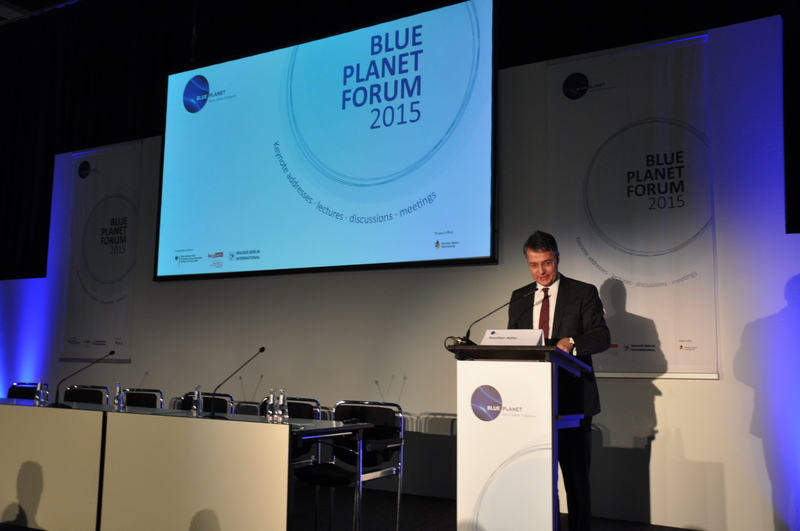 BLUE PLANET will accomplish this by offering a wide range of events and activities, where the topic of water if highlighted along with a political focus. 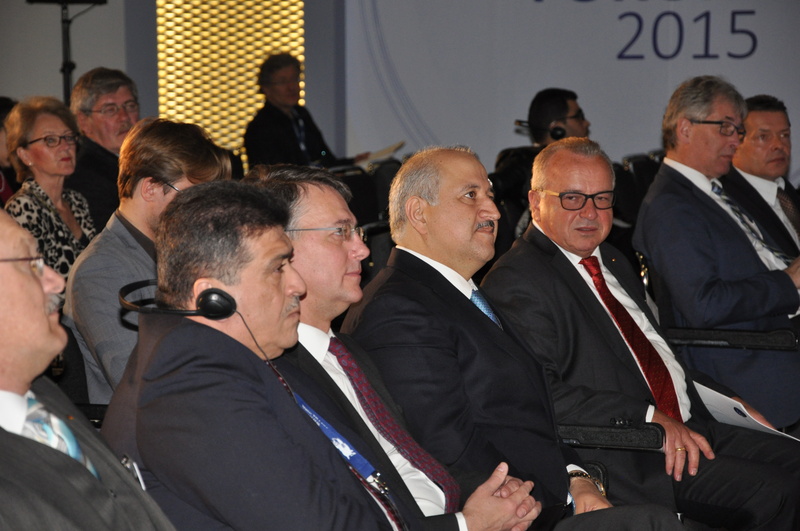 Worldwide, the economic and foreign policy are increasing the significance of the resource water and demand for technologies and services, in order to solve crisis’s and conflicts that are attributed to poor or inadequate water management. 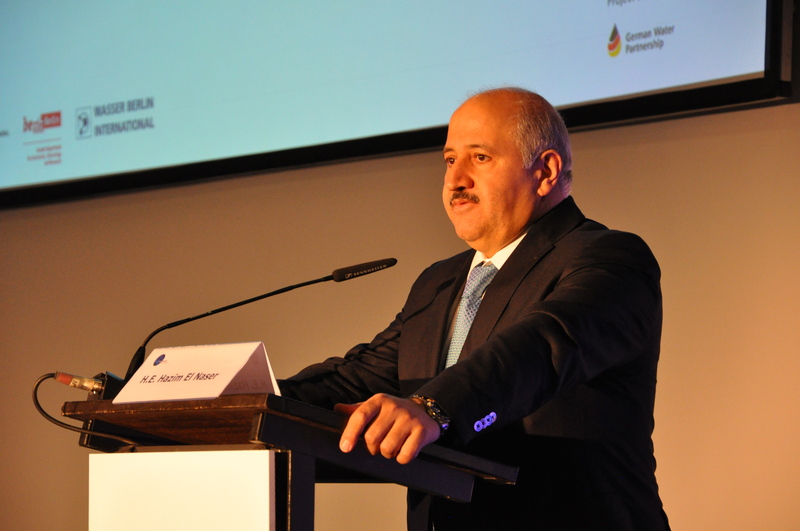 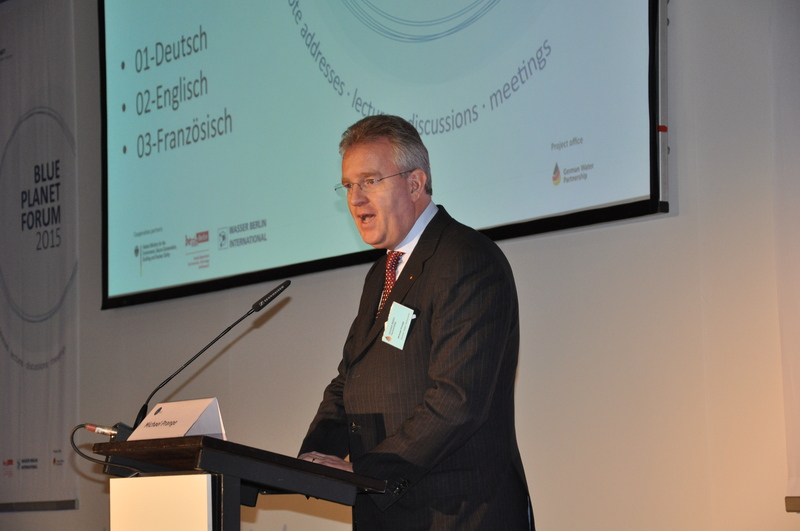 The German water industry has the expertise, the know-how, and the qualification to assist in these conflicts, however, their positioning on the growing world market, in order to generate employment and economic growth in Germany, is unsatisfactory. 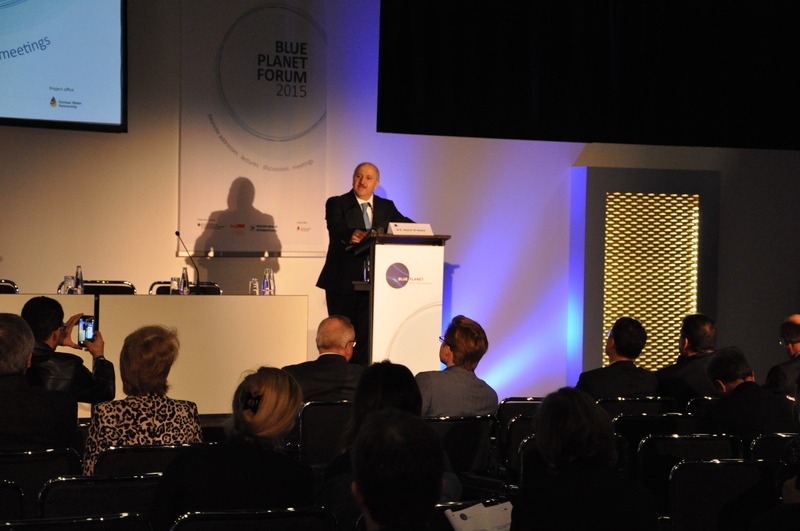 With the politically oriented BLUE PLANET Forum 2015, an opportunity was presented, not only to attract the professional world, but also the decision-makers from international water users in industry, agriculture, metropolises and foreign policy. 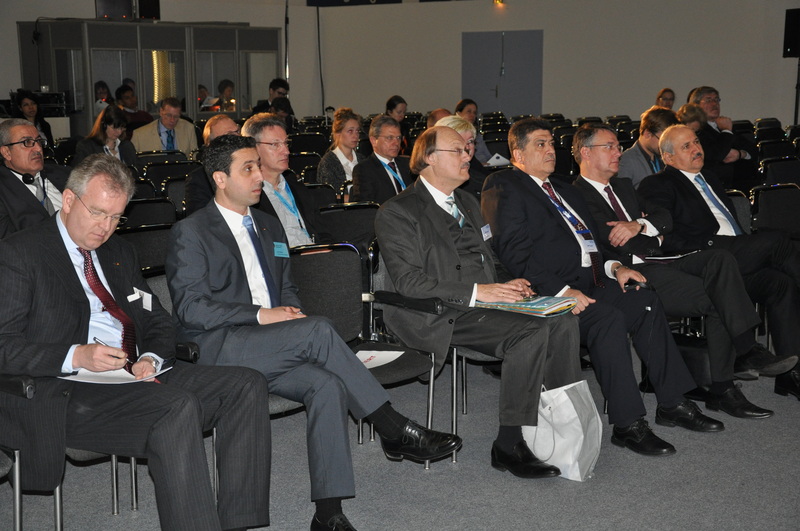 The forum is also used as a ‘marketplace’ for discussions and encounters, while simultaneously allowing the German water industry to present its know-how.